I have one more Emmy winner to examine, "Saturday Night Live," which tied for most Emmy nominations with 22, 24 counting its web series and interactive program. Stay tuned. Thus I concluded 'Last Week Tonight With John Oliver' examines corporate consolidation after winning four Emmy Awards, so it's time to report on the final Emmy-winning program about politics. I begin with an overview of the theme of the night, Emmy awards 2017: Political satire wins the night from Al Jazeera English, which features Saturday Night Live. The EMMY Awards are all about television entertainment. This year the spotlight was on political satire. From dramas to comedies, US politics played a major role. While the video mentions "The Handmaid's Tale" and "Veep," its main emphasis was on the comedy acting awards that SNL won. I expected three of them, beginning with Melissa McCarthy winning Outstanding Guest Actress in a Comedy Series. Earlier this month, I wrote "I'd say either McCarthy or Wiig will win, probably McCarthy. She made an outstanding Sean Spicer." She did and she won. Next was Kate McKinnon earning a second statuette for Outstanding Supporting Actress in a Comedy Series. My prediction was "I expect that Kate McKinnon, who won last year, will repeat." She did. My final prediction was "I suspect Alec Baldwin might win [Outstanding Supporting Actor in a Comedy Series] based on his Trump impersonations," which I foreshadowed last month by writing "He can earn his Emmy for portraying Donald Trump on Saturday Night Live" instead for "Match Game"; I'm glad that Emmy for host of a reality competition show went to RuPaul Charles. The comedy acting award that took me by surprise was Outstanding Guest Actor in a Comedy Series, which went to Dave Chappelle. Wochit Entertainment has the story in Dave Chappelle Wins Emmy For Hosting SNL. Dave Chappelle has officially won an Emmy Award for his hosting of Saturday Night Live in the fall of 2016. The episode aired on November 12, 2016. During Chappelle's Saturday Night Live episode, the comedian and former star of Chappelle's Show took aim at the Presidential election which had taken place in the weeks leading up to the episode. He did, however, manage to squeeze in a hilarious and unforgettable sketch which parodied The Walking Dead's iconic Season 6 finale and Season 7 premiere, which introduced the villainous Negan character portrayed by Jeffrey Dean Morgan on the AMC series. I thought the statuette might go to a host of SNL, just not him. Hugh Laurie is my choice for the best actor of the bunch, but I wouldn't put it past the Emmy voters to pick either Lin-Manuel Miranda or Tom Hanks. I might have more to say about them and SNL next week. Between the two, I would say that Hanks has better name recognition and a more memorable performance on SNL, but the voters might think Miranda might send a stronger message to the country. Yes, it's that kind of year. I was right that it has been that kind of year, as selecting Dave Chappelle sent an even stronger message. While it came as a surprise to me, it was also well deserved, as well as being another victory for diversity. The final award the show won on the final night of the Emmy Awards was Outstanding Variety Sketch Series, which opens ET Canada's 2017 Emmy Awards 'SNL' Highlights: Alec Baldwin, Melissa McCarthy, Ben Affleck's Appearance. Highlights from the 2017 Emmy Awards including Ben Affleck making an appearance to support girlfriend Lindsay Shookus, a surprise appearance by Sean Spicer and more wins for “SNL”. I expected SNL winning this category. I'd say "Saturday Night Live" is favored because of its number of nominations (22, tied with "Westworld"), number of previous nominations (2), and the general zeitgeist. The two shows with the best but still slim chance of upsetting SNL are "Drunk History" and "Portlandia," the only other shows also nominated all three times the category has been offered. Of the two, "Drunk History" has four nominations and "Portlandia" has three. As for the rest, the next best bet is "Tracy Ullman's Show." Other than that, this should be the beginning of the second part of an SNL near-sweep. It was a near-sweep on the final night of the Emmys, as SNL won four of the five categories in which it was nominated, winning Outstanding Directing for a Variety Series, which I predicted, while losing only to "Last Week Tonight With John Oliver" in Outstanding Writing for a Variety Series. Congratulations! SNL won three more awards at the Creative Arts Emmy Awards the week before, Outstanding Make-up for a Multi-Camera Series or Special (Non-Prosthetic), Outstanding Production Design for a Variety, Nonfiction, Reality, or Reality-Competition Series, and Outstanding Technical Direction, Camerawork, Video Control for a Series. I predicted the first two (turning Alec Baldwin into Trump alone deserved the first) and thought the third could happen because of a sweep. 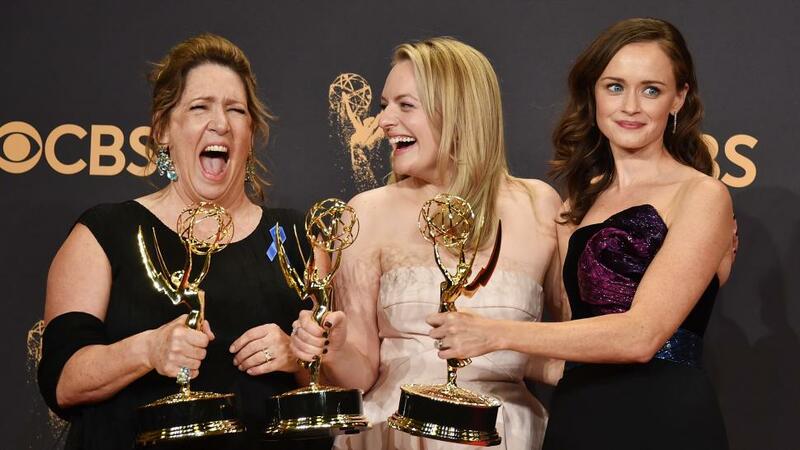 Nine out of twenty-two or twenty-four, depending on the web series counting, isn't really a sweep, but it was enough to make SNL the most awarded program at the Emmys. One last time, congratulations! Now my series on the 2017 Primetime Emmy Awards is complete. It's time to move on to the News and Documentary Emmys, which will be awarded October 5th. Stay tuned! After writing about Samantha Bee and Trevor Noah winning their first Emmy Awards, I promised that I'd report on the Emmy Awards won by "Last Week Tonight With John Oliver" today. It's time to follow through. "Last Week Tonight With John Oliver" won half of the eight Primetime Emmy Awards for which it was nominated, including repeating all three categories it won last year, Outstanding Talk Variety Series, Outstanding Writing for a Variety Series, and Outstanding Picture Editing for a Variety Series. It also won Outstanding Interactive Program, unseating “The Late Late Show with James Corden” and holding off SNL in the face of a near sweep. Oliver went up to the stage twice last week, the first time to accept Outstanding Writing For a Variety Series. That gave rise to a running joke about thanking Oprah Winfrey, which popped up in his second acceptance speech for winning Outstanding Variety Talk Show. Emmys 2017 - John Oliver Wins His Second Emmy Award for Last Week Tonight With John Oliver. Check out John Oliver acceptance speech. Oprah wasn't there any more, but he thanked the person in her seat anyway. The episode after his four wins, Oliver and his crew kept up the outstanding work with Corporate Consolidation, in which he actually tries to tank the merger between HBO's parent company Time Warner and AT&T. The ubiquitous tribute to small business reminds me of this exchange between Greer the Archdruid and me in Donald Trump and the Politics of Resentment. "Even the once-mighty profit class, the people who get their income from the profit they make on their own business activities, is small enough these days that it lacks a significant collective presence." The odd thing is that the small business owner still plays an important political and cultural role, even if they don't actually have much political clout. Lots of politicians craft the appeals for their policies as promoting "small business," even if they don't really do anything of the sort. There's also the repeated fantasy of running a business, such as a restaurant or store, as a way of achieving independence. The reality is that it's usually the interests of the investment class that get promoted when politicians talk about policies that are "good for business," not the profit class. Also, running a small business is much more work than people realize. In the current system, it's a lot more remunerative for less work to be a member of the salary class. Thanks to John Oliver and his writers, researchers, and editors for pointing out how true my observation still is. In addition to blowing up a cable box to point out the problems with monopolies, Oliver also took aim at the airlines. Here is his most savage dig, which might earn yet another nomination for Picture Editing. Mean, but true and funny. Just for that, congratulations, John Oliver and the crew of "Last Week Tonight." Keep up the good work of being the most entertaining informational program on television. I told my readers to "Stay tuned for more about the Emmy Awards after another driving update." I took care of the driving update yesterday, so it's time to follow up on 'Last Week Tonight With John Oliver' leads variety talk shows at the Primetime Emmy Awards. I'll write about "Last Week Tonight With John Oliver" tomorrow. Today, I'm featuring the other winners who host variety talk shows, beginning with “Full Frontal with Samantha Bee Presents Not the White House Correspondents’ Dinner,” which won Outstanding Writing for a Variety Special. I was rooting for either Bee or Stephen Colbert and I got my wish. Here she is with the rest of her winning writing team in Gold Derby's Samantha Bee (Full Frontal) Exclusive 2017 Emmy Awards Press Room Winner Interview. Samantha Bee (Not the White House Correspondents Dinner), 2017 Emmy winner for Variety Special Writing. She won at the Creative Arts Emmys ceremony in downtown Los Angeles on September 9. She and her team are on stage in the press room answering questions. Congratulations to Bee and her fellow writers on winning their first Emmy Award! Also winning his first Emmy Award was Trevor Noah and “The Daily Show – Between the Scenes” for Outstanding Short Form Variety Series. I had been rooting for "The Star Wars Show," but I did write that I'd be O.K. with Noah pulling off an upset, which he did. Unfortunately, he wasn't there to accept the award, so I'm sharing Trevor Noah Accepts the Award for Best Host at the MTV Movie & TV Awards instead. Trevor Noah accepts the Best Host award for 'The Daily Show' at the 2017 MTV Movie & TV Awards. Like Bee, Noah credits Trump as the inspiration for his comedy. May we all be able to laugh at him as much as Bee and Noah do. Trevor looks at President Trump's "Nambia" gaffe from the African perspective. Stay tuned for my reports on the Emmy Awards won by "Last Week Tonight With John Oliver" tomorrow and "Saturday Night Live" Friday, which will be the last post of the month. I set myself a challenge at the end of Driving update: two years of Pearl as Tesla begins deliveries of Model 3 today. As for the next update, to roll over 36,000 miles on Pearl on September 21st, a year to the day after the car passed 29,000 miles, might be a challenge, as I'm working three more weeks during August than I worked last year. I'd have to walk more and run my errands on the way home from work more to keep my driving down enough to make that happen. Here's to hoping I succeed. I should be careful what I wish for, as I might get it. Pearl turned over 36,000 miles yesterday, September 26th, exactly five days later than the anniversary of her passing 29,000 miles. How did I manage that? I was in the hospital for five days. Without that experience, I would likely have driven exactly 7,000 miles a year as I have been doing all year long. I didn't need to wish for anything to decrease my driving to meet my goal, but I got it anyway. My illness dropped my annual mileage from exactly 7,000 miles per year to 6905.4 miles per year. Hey, I didn't drive 95 miles because I was sick! Actually, that's about right. 7,000 miles divided by 52 weeks equals 134.6 miles per week. Divided by seven days per week gives 19.2 miles per day. Multiplied by five days yields 96.2 miles. Both my health and the planet's improved by my being hospitalized -- that is, if I don't count whatever carbon footprint resulted from my being in the hospital instead of home. Some other time. As for my monthly mileage, it took 61 days from July 27 to September 26 to drive 1,000 miles, which is an average of 16.39 miles per day and exactly 500 miles per standard month. That's six days longer than the 55 days it took to drive 1,000 miles, or 18.18 miles per day and 554.55 miles per standard month during June and July this year. I drove 1.79 miles per day and 54.55 miles per month less than I did during the first half of the summer. Last year between July and September, I drove 17.54 miles per day and 535.1 (535.09) miles per standard month, which means I drove 1.15 miles per day and 35.1 miles per month less this year than during the comparable period last year. Yeah, I'm still driving less by whatever measure I'm taking, but not because of anything I did voluntarily. As for the next driving anniversary, that would be November 9th. I'm fairly confident that Pearl will pass 37,000 miles weeks later than that, as I drove a lot last October and November for the election. There is no election this year, so no driving around dropping off lawn signs. That means I should be driving closer to 6.500 miles per year than 7,000 miles per year at the next driving update and it won't be because I was sick -- I hope. I concluded 'Veep' leads comedy series with five Emmy Awards with "I'm not done with comedy. I plan on writing about the rest of the winners in comedy series tomorrow, then the variety winners beginning on Wednesday." It's Wednesday, so I'm following up on two comedies that tied for second in their genre with two awards, "Atlanta" and "Master of None." Both of them were cited by Wochit News, which I quoted first in "Fear the Walking Dead: Passage" contributes to diversity at the 2017 Primetime Emmy Awards and again in 'Veep' leads nominated comedies at the Primetime Emmy Awards with 17 nominations. The 69th Primetime Emmy nominees are the most diverse in the program's history. 25 people of color were nominated across 18 onscreen acting awards, while 22 were nominated in 2016. Last year, people of color represented 24.6 percent of the major acting nominees. In 2015, that percentage was 21.9. In 2014, it was 9.7. In addition to the acting nominees, "Atlanta," "black-ish" and "Master of None" received nominations for Outstanding Comedy Series. The shows' leads, Donald Glover, Anthony Anderson and Aziz Ansari, will compete for the Lead Actor in a Comedy category. While "Veep" won the Emmy for Outstanding Comedy Series, Donald Glover won both Outstanding Lead Actor in a Comedy Series and Outstanding Directing For A Comedy Series. The Hollywood Reporter reports on that win in 'Atlanta's' Donald Glover Nabs Lead Actor, Best Director for Comedy Series at 2017 Emmys. Glover thinks Trump may be responsible for his award. Not entirely, as he won for Best Actor in a Comedy Series at the Golden Globes and the Critics' Choice Awards, both of which awarded him their statues before Trump was inaugurated. Still, the Emmys cap a very good year for Glover. Last year's winner, Jill Soloway ("Transparent") isn't returning, so this is an open field. David Mandel and Dale Stern of "Veep" are returning nominees, as is Mike Judge of "Silicon Valley," so under normal circumstances I'd say they were the favorites. I'm not sure this year is normal and it may not work in favor of "Veep." Instead, I suspect Donald Glover will pull an upset. I was less optimistic about his winning the acting award, as I wrote "The one wild card is Donald Glover. I don't think he's ready to beat Tambor, even if it seems like his year." I was wrong; it was Glover's year, but at least I acknowledged the possiblity that he could win. The Hollywood Reporter also mentioned Lena Waithe and Aziz Ansari's win for Outstanding Writing for a Comedy Series. Ansari was a returning winner, so I called this win. On the other hand, I did not expect "Master of None" to win Outstanding Single camera Picture Editing For A Comedy Series. I thought that would go to "Veep" or "Silicon Valley." Still, I'm glad to be pleasantly surprised with a victory for diversity instead. Stay tuned for more about the Emmy Awards after another driving update. I promised I would return to the Emmy Award winners Friday at the end of Jeff Beal wins the only Emmy for 'House of Cards' this year, but that was a mistake from the get go. First, even if I had stuck to my schedule, I would have returned Saturday, as Friday was the Autumnal Equinox. Second, I found more pressing things to blog about, like Vox on nukes for another fake doomsday and 'Star Trek: Discovery' debuting on CBS. It's not the first time I promised to write about something on this blog and ended up being late about it. Just the same, it is time to return to the Emmy winners. Today, I'm revisiting "Veep, which had more nominations than any other scripted comedy series. It also ended up with more wins, five, for Outstanding Comedy Series, Outstanding Lead Actress in a Comedy Series, Outstanding Casting for a Comedy Series, Outstanding Cinematography for A Single-Camera Series (Half-Hour), and Outstanding Production Design for a Narrative Program (Half-Hour or Less). The first two were awarded on the final night and CBS posted both of the acceptance speeches on its YouTube channel. First, Julia Louis-Dreyfus Wins Outstanding Lead Actress In A Comedy Series At The 69th Emmy Awards, which I called earlier this month, calling Dreyfus "a prohibitive favorite." In between my composing this entry and it being posted, CBS took down its videos, so I'm substituting ones that are still up. It's now 'Veep's' Julia Louis-Dreyfus Breaks Record With 6th Consecutive Emmy Win from The Hollywood Reporter. 'Veep' and Julia Louis-Dreyfus have done it again. The HBO series won for best comedy series at the Emmy Awards on Sunday and the show's star, Louis-Dreyfus, took home her sixth consecutive win for her role as ex-president Selina Meyer, a record run for any actor. That was hysterical, although I suspect "House of Cards" will do the impeachment story line first, not the Trump White House (note that Dreyfus is sitting next to Kevin Spacey in the front row -- the two TV presidents together got VIP treatment). It was also worthy of a record-setting string of wins for the same actress playing the same character. The other was Veep Wins Outstanding Comedy Series At The 69th Emmy Awards, which I also called, declaring the now three-time winner the favorite. CBS struck again, so I'm replacing it with 69th Emmys: Veep Press Room Interview from the Television Academy. Norman Lear and Carol Burnett presented the award. The team from Veep give a press room interview after their Emmy win for Outstanding Comedy Series. I'm glad to see the comedy legends of Lear and Burnett are still with us. As for "Veep," if the producer is this funny, no wonder the show is a hoot. I'm looking forward to the final season, which will air next year. Until then, congratulations! I'm not done with comedy. I plan on writing about the rest of the winners in comedy series tomorrow, then the variety winners beginning on Wednesday. Stay tuned! I've posted the trailers for "Star Trek: Discovery" twice, first in May and again in July. True to the every other month pattern, I'm posting something about it in September. The difference is that the show is premiering tonight on CBS before it moves to CBS All Access. * Therefore, I'm posting news stories instead of trailers. I'm all in favor of corporate PR once removed as information. First, The Hollywood Reporter introduces the characters in 'Star Trek: Discovery' Character Guide to CBS All Access Drama. 'Star Trek: Discovery' is plotting a game-changing new course. In addition to running on a digital platform, Discovery marks the first time a Star Trek series has been led by a woman of color as well as someone who isn't captain of the ship with The Walking Dead grad Sonequa Martin-Green having that distinction in her role as First Officer Michael Burnham. What's more, Discovery picks up at a time of rising tensions between Starfleet and the Klingon race. The captain of Discovery is the most messed up Star Fleet commanding officer? That I'll have to see; I can think of a couple from the original series that had serious issues and Chris Pine's Kirk is pretty damaged. Also, Spock has a foster sister? That makes me want to watch the series even more. Next, KTLA is at the premiere of Star Trek: Discovery to get the reactions of the actors, both from the current series and the original one. The next chapter of the Star Trek franchise is heading to CBS All Access. KTLA was at the red carpet premiere with the stars of Star Trek: Discovery. I hope the actors from "Star Trek: Discovery" are right about their show. Finally, since I'm a musician and love theme songs, I'm going to post corporate PR direct from the source: Star Trek: Discovery's Main Title Theme Takes A Cue From The Past. When it comes to Star Trek, a dynamic main title theme is key. In this behind-the-scenes video for Star Trek: Discovery, composer Jeff Russo leads a 60-piece orchestra in recording the new series' theme. 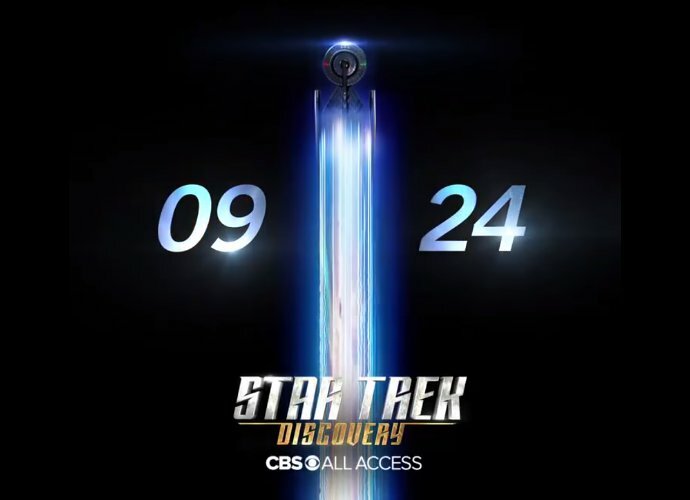 Star Trek: Discovery premieres in the U.S. on CBS All Access Sunday, Sept. 24, following a broadcast premiere on the CBS Television Network. Here's to hoping this gets nominated for Outstanding Main Title Music at next year's Emmy Awards. May it have a title sequence worthy of the franchise to accompany it. *Here's to hoping it isn't delayed by football. As for the show being on CBS All Access, I hope it doesn't interfere with growing the show's audience the way it seemed to with "The Good Fight." That show was just as good as the last season of the "The Good Wife" but earned only one Emmy nomination in contrast to the four nominations the last season of "The Good Wife" earned. I have a suspicion that the members of the Television Academy just weren't watching. May that not happen to "Star Trek: Discovery." Today is yet another predicted doomsday and it would a dereliction of my duty as a doomer blogger to ignore it. That doesn't mean I have to take it at face value -- quite the contrary. This particular doomsday, like the Rapture and Judgment Day of 2011, the Fake Mayan Doomsday 2012 and Ragnorak of 2014, deserves my mockery. Today's apocalypse not features both Biblical numerology and Nibiru, the Planet X of conspiracy theory. * At least this end of the world idea is eclectic. That doesn't mean that the possibility of the end of western industrial civilization isn't real. It's just that it will happen as a result of natural causes explanable by science. One of those, which I examined at the beginning of the year in Trump helps move the Doomsday Clock 30 seconds closer to midnight and Nuclear war and how to survive it from ASAP Science and ASAP Thought then more recently but less seriously in SNL mocks Trump for Presidential Joke Day and Colbert on the nuclear crisis with North Korea, is the threat of nuclear war, particularly between the U.S. and North Korea. Follow over the jump for three videos from Vox on the Doomsday Clock and nuclear war. Happy Autumnal Equinox! I've written enough about the astronomical reason for the season, so I'm celebrating three other holidays that share this day according to National Day Calendar and that have some connection to the themes of this blog. Follow over the jump for them. To celebrate, I'm sharing two selections from the current season of "House of Cards." First, House Of Cards, Chapter 63 "Saved My Life" by Jeff Beal, which is from the nominated episode. Next, "Nothing to be Afraid of." That's all I feel like writing about today, as it's my birthday. I'll return to the Emmy Award winners Friday, as tomorrow is the Autumnal Equinox, along with a couple of other holidays listed on National Day Calendar that I'll celebrate as well. Stay tuned. Before I move on to Emmy winners that are about modern American politics (in contrast to politics in science fiction), I am taking care of the winners in animation and children's programming, which I touched on in Star Wars at the Primetime Emmy Awards, 'Gotham' leads superhero shows at the Primetime Emmy Awards with three nominations, and 'Veep' leads nominated comedies at the Primetime Emmy Awards with 17 nominations. Here they are from Wikipedia. "Samurai Jack" earned four Emmy Awards for Outstanding Individual Achievement in Animation, one each for Bryan Andrews (storyboard artist), Scott Wills (production design), Craig Kellman (character design), and Lou Romano (background design). "Wander Over Yonder" also won an Outstanding Individual Achievement in Animation for Justin Nichols (character animation). All of these are juried awards, so I had no comment on them in advance. Just the same, congratulations! "Bob's Burgers" won Outstanding Animated Program. This came as a pleasant surprise. I was expecting "Archer" to repeat. I was also expecting "Adventure Time" to repeat as Outstanding Short-Format Animation. It did, so I can brag that I picked the winner. One category I missed was Outstanding Character Voice-Over Performance, which I might have included in the post about "Black Mirror" and "American Horror Story: Roanoke" I was planning on writing before I was hospitalized. Seth MacFarlane won that award for his work on "Family Guy" as the voices of Peter Griffin, Stewie Griffin, Brian Griffin, and Glenn Quagmire. The man is just as talented as a voice artist as he is a humorist. Here's to hoping he can put those talents to good use in "The Orville." I was rooting for "Star Wars Rebels" to win Outstanding Children's Program, but I expected "Once Upon a Sesame Street Christmas" to take home the statuette. As predicted, the Muppets beat the rebels. Maybe "Star Wars Rebels" will win for its last season, which is this year. And now, two videos from the winner with the strongest claim to being science fiction, "Wonder Over Yonder" and "Adventure Time." First, If You Wonder Over Yonder. Next, Adventure Time Islands Theme Song. Yesterday was Talk like a Pirate Day, but there is still a Jolly Roger flag for today. Enough fantasy. Time to move on to reality in the form of politics and news! 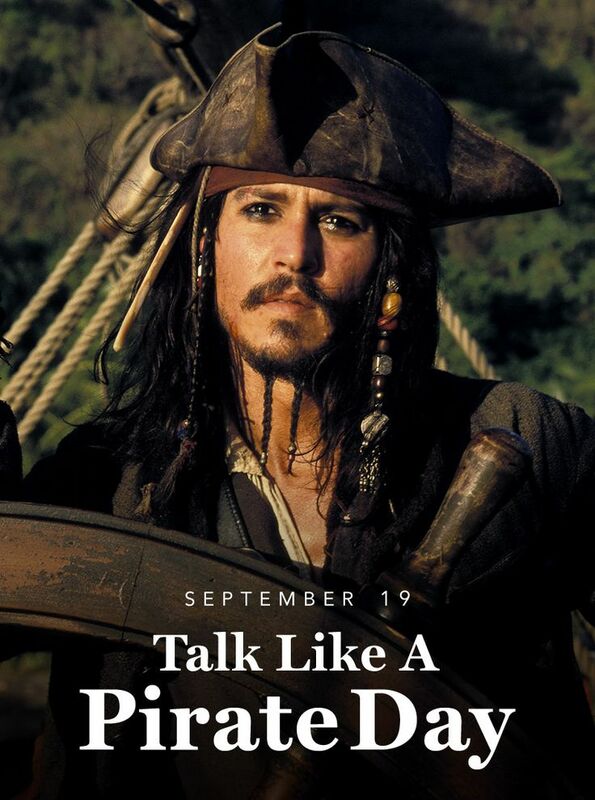 I mentioned Talk Like A Pirate Day yesterday. That's today! Arr, Mateys! To celebrate, I'm posting a clip and some music from "Pirates of the Caribbean: Dead Men Tell No Tales." Here's the clip, which stitches together three previews. Between 2:15 and 2:40, I heard bits of a familiar theme. It's more easily heard from 0:48 and 1:08 of Kill the Filthy Pirate, I'll Wait. As I wrote in the comments, "(Un)holy crap! It's the March to the Scaffold from Symphonie Fantastique by Hector Berlioz! Well, at least Jack Sparrow couldn't ask for more epic music to be executed to. "* Of course, Captain Sparrow escapes, along with Will and Elizabeth Turner's son Henry and Hector Barbossa's daughter Carina Smyth, or else there wouldn't be a movie. *I recognized it because I played it in the Anaheim Kingsmen in 1978; it was the opening of the field show. If I had a drum corps rendition of the piece, I'd play it. I don't, but I have something better: Gustavo Dudamel conducting an orchestra playing it. Listen for the motif in the opening. Oh, my, from pirates to classical music in three clips. I'd better stop before I go even farther afield! I finished 'Westworld' and 'Stranger Things' lead drama series with five Creative Arts Emmy Awards each with a wish for the speculative fiction nominees. 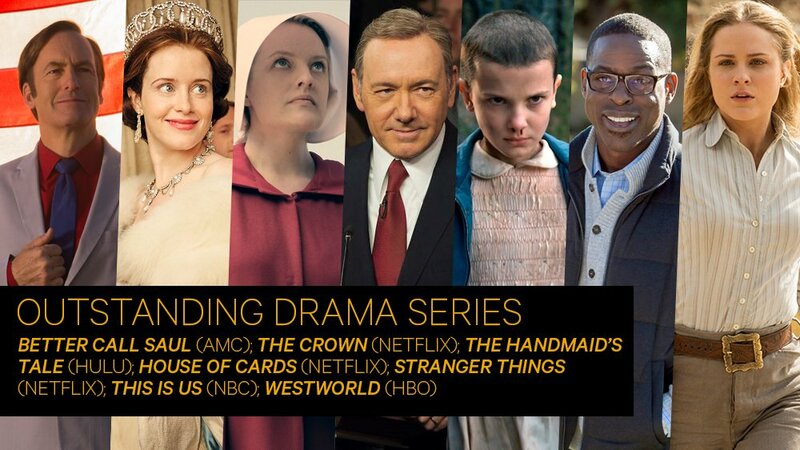 Good luck to "Stranger Things," "Westworld," and "The Handmaid's Tale" tonight, as they are all in competition with each other for Outstanding Drama Series, Outstanding Supporting Actress in a Drama Series, Outstanding Directing for a Drama Series, and Outstanding Writing for a Drama Series. In addition, "Stranger Things" and "Westworld" both have performers nominated for Outstanding Supporting Actor in a Drama Series, "Westworld" and "The Handmaid's Tale" have nominees for Outstanding Actress in a Drama Series, and "Westworld" has Anthony Hopkins nominated for Outstanding Actor in a Drama Series. Three to five awards down, five to seven to go! Let's see how that went as USA Today asks Missed the 2017 Emmy Awards? Here are the highlights. Just in case you missed the 2017 Emmy Awards, or if you want to watch it again: here are the highlights. I didn't see this coming, although I should have, as I was rooting for "Westworld" and "Stranger Things" in all five categories. Then again, as I wrote last month and repeated just yesterday, "'I expect 'The Handmaid's Tale' of a theocratic dystopian America will win more honors at the Emmys than I expected just a week ago,' after winning two awards at the 2017 Television Critics Association Awards, this is the kind of result I should have expected." Congratulations! I expect to see a lot of nominations for this series at next year's Saturn Awards. As for "Westworld" and "Stranger Things," both were shut out last night. Sterling K. Brown beat Anthony Hopkins for Outstanding Actor in a Drama Series and John Lithgow won for Outstanding Supporting Actor in a Drama Series. I found the former surprising (Brown beat Hannibal Lector! I thought Kevin Spacey would do that) but I expected the latter. Just the same congratulations to both, especially Brown. In all seriousness, diversity! "The Handmaid's Tale" was not the only speculative fiction program to sweep its categories last night. "Black Mirror: San Junipero" won both of the categories it was nominated in last night, Outstanding Television Movie and Outstanding Writing For A Limited Series, Movie Or Dramatic Special. ** Adding its two wins with those of "The Handmaid's Tale" (8) "Westworld" (5), "Stranger Things" (5), "Gotham" (1), "Marvel's Luke Cage" (1), and "American Horror Story: Roanoke" (1), speculative fiction shows earned 23 Emmy Awards this season. That's a good year for the genre in terms of mainstream recognition and I'm happy about it. *Neither were the overall winner over all nights of the Emmys. That honor belongs to "Saturday Night Live" with nine total, five last week and four last night. I'll have more to say about SNL, "Veep," and "Last Week Tonight" in future installments, but only after Talk Like A Pirate Day. **I was planning on writing a post about both "Black Mirror" and "American Horror Story: Roanoke," but I was hospitalized and missed a day of blogging then didn't have quite the energy to research and write that post. If I had done that, I could had also said something about the other miniseries and movie nominees beyond what I wrote about "Genius" and my asides about "Big Little Lies." Darn. I wrote "I'll be back with more winners in speculative fiction and politics" at the end of '13th' leads non-fiction programs with four Emmy Awards. With the Primetime Emmy Awards tonight, I only have time for one, so for this week's Sunday Entertainment feature, I'm sharing the speculative fiction winners from last weekend's Creative Arts Emmy Awards, just like I did two years ago in 'Game of Thrones' already a big winner at the Emmy Awards and last year in Ten Emmy Awards for 'Game of Thrones' plus other speculative fiction winners. Then I'll probably post the speculative fiction winners from tonight's show tomorrow, just as I did in 'Game of Thrones' wins Best Drama and three other awards two years ago and 'Game of Thrones' and 'Orphan Black' win Emmy Awards. Sorry, political comedies, dramas, and variety shows, but I'm nothing if not predictable. I'll get to you like I did last year in Last Week Tonight examines Clinton and Trump foundations after winning three Emmy Awards. Be patient. Follow over the jump as I report on the five Emmy Awards both "Westworld" and "Stranger Things" have already won as well as the three statuettes "The Handmaid's Tale" earned, all of which put them in the lead for drama series, along with all the rest of the live-action speculative fiction winners, including the first Emmy Awards for "Gotham" and "Marvel's Luke Cage." I mentioned that I might get to the Cassini spacecraft burning up in Saturn's atmosphere at the end of Seeker/DNews on bees recovering from colony collapse disorder. Today is as good a day as any to say goodbye. 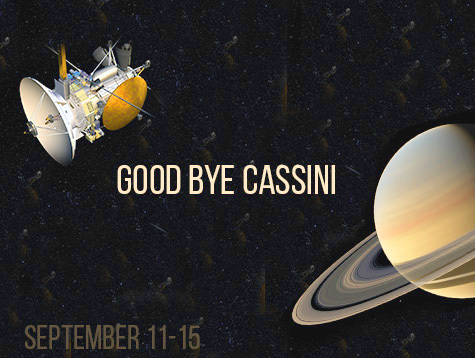 First, a serious farewell from NASA as the space agency says Goodbye Cassini. NASA’s Cassini Spacecraft Ends Its Historic Exploration of Saturn. Cassini's plunge brings to a close a series of 22 weekly "Grand Finale" dives between Saturn and its rings, a feat never before attempted by any spacecraft. Now, a silly goodbye as Robert Picardo of "Star Trek: Voyager" and the Planetary Society sings Le Cassini Opera. Planetary Society board member Robert Picardo (Star Trek: Voyager) sings a very special goodbye to the Cassini mission at Saturn. I concluded Seeker/DNews on the true cost of fossil fuels with a program note. I have another video about bees I plan on sharing. Stay tuned. Here it is, After a Decade of Colony Collapse, Bees Are Bouncing Back! (Sort Of). A new report shows bee populations are on the rise, but the hives are still facing major threats. "The number of U.S. honeybees, a critical component to agricultural production, rose in 2017 from a year earlier, and deaths of the insects attributed to a mysterious malady that's affected hives in North America and Europe declined, according a U.S. Department of Agriculture honeybee health survey released Tuesday." There are other events going on today, such as North Korea launching another missile over Japan, the Cassini spacecraft burning up in Saturn's atmosphere, and the celebration of Greenpeace Day, but I decided to celebrate some good news today instead. As for the rest of the stories, I might get to them later, maybe even tomorrow. Stay tuned. Just yesterday, I lectured on externalities in my environmental science class. Fortunately for me, Seeker/DNews posted a video on the topic of externalities just the week before, which I included in my lecture. Here's Here's How Much Gas Really Costs (If You Account for Global Warming). The true cost of fossil fuels is hidden in subsidies, but a new study has estimated just how much they really are. And let's just say, fossil fuels are expensive. That made the point I wanted to get across to my students. Yesterday, I wrote "I'll have more about the other winners of non-fiction programs later this week." I decided today would be that day, especially as it would mean I'd write about "13th" on the 13th. I couldn't let that apt coincidence pass. "13th" won more awards than any other nonfiction program with statues given out for four categories. Variety lists them and quotes Ava DuVernay's acceptance speech. “13th” won for documentary special as well as writing, motion design and original music and lyrics for “The Letter to the Free” by Common, Robert Glasper and Karriem Riggins. The Netflix documentary, which also collected a Peabody Award and an Oscar nomination this year, led the winners field with four trophies. I was rooting for or predicted most of these wins. Documentary or Nonfiction Special..."13th" is the clear favorite, given the reputation and quality of the director and the urgency of the movie's topic, but any of these shows could win. Writing for a Nonfiction Program...Without "Planet Earth II" in the mix, I think "13th" is the favorite, even though I'm rooting for "Bill Nye Saves the World," even though I don't think it deserves it. That's two. Now for the third from 'Saturday Night Live' tied for most Emmy nominations with 22, 24 counting its web series and interactive program, here's what I had to say about the odds of Common's song winning. In its final nominated category, "13th" would be the winner of a game of "One of these things is not like the other" in this field. All the rest are for comedies. At least as the most serious, it would stand out. That written, I'd actually have to listen to all of them to give an informed opinion. I will say that Common wrote "Glory," the Academy Award winning song for "Selma." That's a point in its favor. In addition, if the Emmy electorate wants to send a message, that might be even more effective, if less popular, than picking a Christmas song from SNL. I count that as a half. As for Outstanding Motion Motion Design, the nominees weren't listed and a jury picked the awards, so I didn't have a chance to say anything about its chances. Still, calling two-and-one-half out of three is pretty good. Now for a quote from the acceptance speech. DuVernay was one of several winners who made emotional pleas for those in media to use their power to speak out on urgent issues, from criminal justice and prison reform to climate change. Follow over the jump for the other winners in non-fiction television. 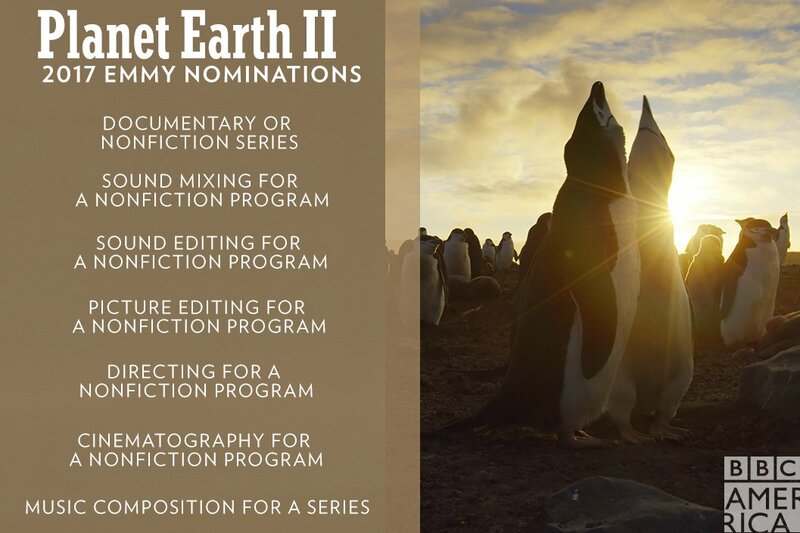 I listed all ten nominations for "Planet Earth II" in Nature and science at the Primetime Emmy Awards. [C]omposers Jacob Shea and Jasha Klebe were nominated for Outstanding Music Composition For A Series (Original Dramatic Score) for the first episode, "Islands." The other nine nominations include Documentary or Nonfiction Series, two nominations for Directing for a Nonfiction Program (Fredi Devas and Elizabeth White), two nominations for Cinematography for a Nonfiction Program (one each for the teams for "Islands" and "Cities," the final episode), two nominations for Picture Editing for a Nonfiction Program (Dave Pearce and Matt Meech), Outstanding Sound Editing For Non Fiction Programming, and Outstanding Sound Mixing For Nonfiction Programming. It won two of them at last weekend's Creative Arts Emmy Awards, Outstanding Documentary or Nonfiction Series and Outstanding Cinematography for a Nonfiction Program for "Islands." For the first award, it clearly stood out over a field of "30 for 30," "American Masters," "Chef's Table," and "The Keepers," so I consider that an easy win. For the second, it was competing against a much tougher field including "13th," "O.J. : Made in America," “Anthony Bourdain Parts Unknown,” “Chef’s Table,” and itself as two episodes were nominated. "Planet Earth II" managed to defeat an Oscar winner, an Oscar nominee, a former winner, and itself. Congratulations! As for the rest of the science and nature programs I lised in Nature and science at the Primetime Emmy Awards and More nature and science at the Primetime Emmy Awards, none of them won. I would say I'm disappointed except that I didn't expect that most of them would win. In fact, I said of some that they should just be happy to be nominated. In particular, I will note that I called the win for Meryl Streep as the narrator of "Five Came Back," an episode of "The Price of Victory," over all the nature shows. Never underestimate the power of Hollywood voting for a good film or show about itself. I'll have more about the other winners of non-fiction programs later this week. In the meantime, enjoy these two clips from "Islands," one that was shown on air, the other a behind the scenes clip I've already shown to my students, both examples of the techniques explained in Vox on 'Planet Earth II'. A pygmy three-toed sloth swims between mangroves on the island of Escudo. Pygmy sloths are home to an unusually varied number of creatures. By the way, I'm back home from the hospital. I might have more to say about that experience later this month. I'm still in the hospital, so nothing very complex today. That's O.K., as I stumbled across something both fun and on-topic for this blog, the University of Michigan Marching Band playing John Williams music from science fiction movies, "Star Wars," "Jurassic Park," and "E.T." 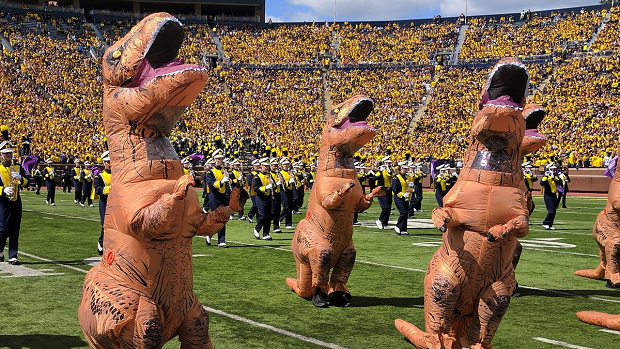 The dancing dinosaurs got the attention of MLive, which posted T-Rex Perform During Michigan Football Halftime. An army of Tyrannosaurus Rex invade Michigan Stadium during the University of Michigan Marching Band halftime performance on Saturday, September 9, 2017. I know I promised that I'd post the third of three entries composed of comments I left at other blogs about zombies by tonight. I'm not doing that because I'm still hospitalized and so I don't have either the access to my notes or the energy to edit them properly even if I did. That's O.K., as something easier to post and more topical to write about -- hurricanes -- from a source I trust -- Vox. Vox posted two videos about hurricanes in advance of the landfalls of both Harvey and Irma. The first was How climate change makes hurricanes worse. 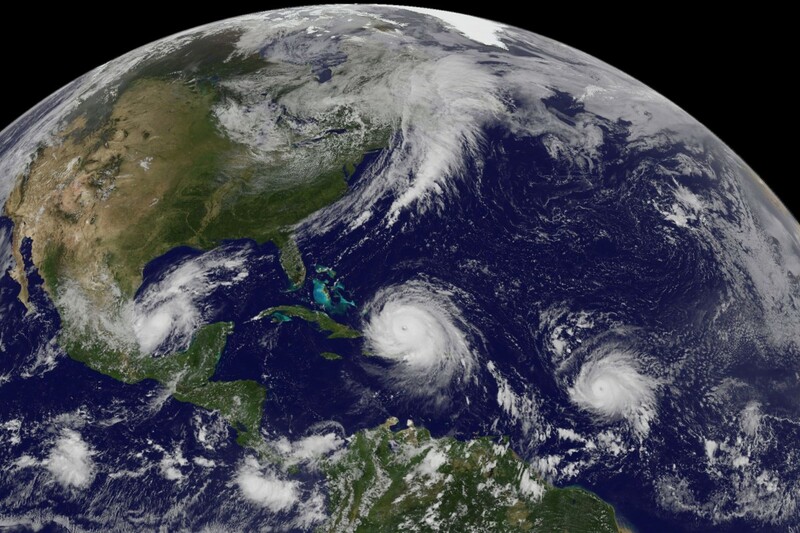 Here's what we know about climate change and hurricanes. That's the climate side of the issue. The second video, Why a storm surge can be the deadliest part of a hurricane, shows the weather side. It can start before a hurricane even makes landfall. What really concerns experts, though, are places that don’t experience a lot of hurricanes but are still vulnerable to storm surge. This map shows that in the event of a big hurricane, based on the characteristics of the shoreline, the coasts of Northwest Florida and Georgia would be at comparable risk to the Gulf Coast. These areas have shallow water, which means sea level can rise faster and water can reach further inland making the flooding worse. But they’ve seen fewer hurricanes than the Gulf Coast and they are likely to be less prepared. So when a major hurricane like Irma hits low-lying areas like these, the storm surge can be the first and deadliest thing headed their way. That's the natural disaster news for the day. With luck, the Sunday Entertainment feature will return tomorrow. I've gained a lot of readers since this blog's first post in which I explain the source of the name. That's still part of this blog's description, which I haven't changed since I created it six-and-one-half years ago. * One of the co-authors of "The Mote in God's Eye," where Crazy Eddie comes from, at least in science fiction, was Jerry Pournelle. ** He died yesterday at the age of 84. Pournelle had a PhD in political science and worked with politicians throughout his various careers. He worked in the aerospace industry and consulted with various politicians on space related technology. While working towards his PhD, Pournelle published science fiction using the pseudonym Wade Curtis. In 1973, Pournelle served as the President of SFWA. In the 1970s, Pournelle began publishing under his own name, starting with A Spaceship for the King. This began his long running military science fiction series. He collaborated with Larry Niven on The Mote in God’s Eye, Inferno, Lucifer’s Hammer, and other novels. While Niven was his most frequent collaborator, the two also collaborated at times with Steven Barnes and Michael Flynn. Pournelle also collaborated with Dean Ing, Roland J. Green, Charles Sheffield, and S.M. Stirling. In addition to his solo novels and collaborations, Pournelle edited several anthology series including There Will Be War, Imperial Stars, and War World. He co-edited Nebula Award Stories Sixteen with John F. Carr. I preferred Niven to Pournelle; the latter's politics were too right-wing for my taste. Just the same, he was a brilliant man and a great writer. I might have more to say except that I'm not feeling up to it. *** Instead, I'll let someone more in tune with his politics talk for me. Take it away, Jeffrey McArthur! I honestly couldn't have said it better. R.I.P. *Although I've been tempted. One of the ideas, which shows up on the blog's Facebook page, is "A blog about sustainability with a science fiction slant and a Detroit perspective." It certainly is still about science fiction and sustainability, but I'm writing for more of a national audience, so the Detroit perspective, while still there, isn't as strong. **The real source was "Crazy Eddie" Antar, the infamous electronics retailer in New York, which the legendary figure was named after. I once tweeted something about being a Crazy Eddie. Antar's nephew liked it, thus completing the circle. ***I am in the hospital for diabetes and Grave's disease, which is why I didn't post yesterday. That's it for this planned series, although I'm feeling like putting together a post with embedded video of all the nominated "Last Week Tonight" episodes that I haven't used yet for an encore. Stay tuned. 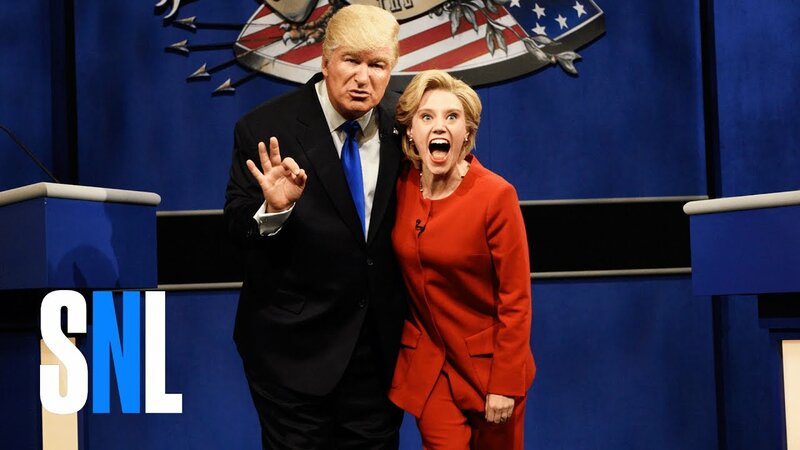 So ended 'Saturday Night Live' tied for most Emmy nominations with 22, 24 counting its web series and interactive program. After some thought and seeing that 'Last Week Tonight With John Oliver' leads variety talk shows at the Primetime Emmy Awards is the most popular entry so far this month with more than 2700 page views and counting, I've decided to follow through with this idea. From the Television Academy (Emmy Awards) website, here are the nominated episodes and the categories in which they are nominated, beginning with Multilevel Marketing, which is nominated for Outstanding Direction for a Variety Series. Follow over the jump for videos of the other four nominated episodes. I concluded 'Last Week Tonight With John Oliver' leads variety talk shows at the Primetime Emmy Awards by writing "I have one last post about "Saturday Night Live," which will be mostly recycled. Hey, I'm an evironmentalist!" I will recycle later in this entry, but I begin with something new (at least here) from The Entertainment Factor blog. Neither of the previous winners in this category's short history ("Inside Amy Schumer" and "Key and Peele") were nominated because neither is on the air anymore, making this an open category. I'd say "Saturday Night Live" is favored because of its number of nominations (22, tied with "Westworld"), number of previous nominations (2), and the general zeitgeist. The two shows with the best but still slim chance of upsetting SNL are "Drunk History" and "Portlandia," the only other shows also nominated all three times the category has been offered. Of the two, "Drunk History" has four nominations and "Portlandia" has three. As for the rest, the next best bet is "Tracy Ullman's Show." Other than that, this should be the beginning of the second part of an SNL near-sweep. Follow over the jump for discussion of the rest of SNL's 22 nominations, 24 counting its web series and interactive program. I ended "House of Cards" leads contemporary American political dramas with six nominations by telling my readers to "at least one post about variety shows later this week." Today, I offer the first installment on that promise by looking at the Emmy-nominated talk variety shows that discuss politics. Given the times, that's all of them. From The Entertainment Factor blog. Gold Derby says the odds for Full Frontal with Samantha Bee are 4-6. Although that puts her in second place behind last year’s winner John Oliver, these awards prediction experts also see a strong contender for Best Variety Special in her “Full Frontal with Samantha Bee Presents Not the White House Correspondents’ Dinner” episode. “Full Frontal with Samantha Bee Presents Not the White House Correspondents’ Dinner” is in second place among talk variety shows with four nominations. Follow over the jump for the rest of the nominees, which include "Stephen Colbert's Live Election Night Democracy's Series Finale: Who's Going to Clean Up This Sh*t?" which is the main competition for the "Not the White House Correspondents' Dinner" with three nominations, and the rest -- Conan ("Conan in Berlin"), "Late Night with Seth Meyers," "The Daily Show," and "The Tonight Show Starring Jimmy Fallon" -- with one nomination each. Happy Labor Day from metro Detroit plus National Wildlife Day! Happy Labor Day! For today's holiday observance, I'm continuing the tradition of the past two years of sharing what metro Detroit is doing to celebrate the holiday, as shown by WXYZ. 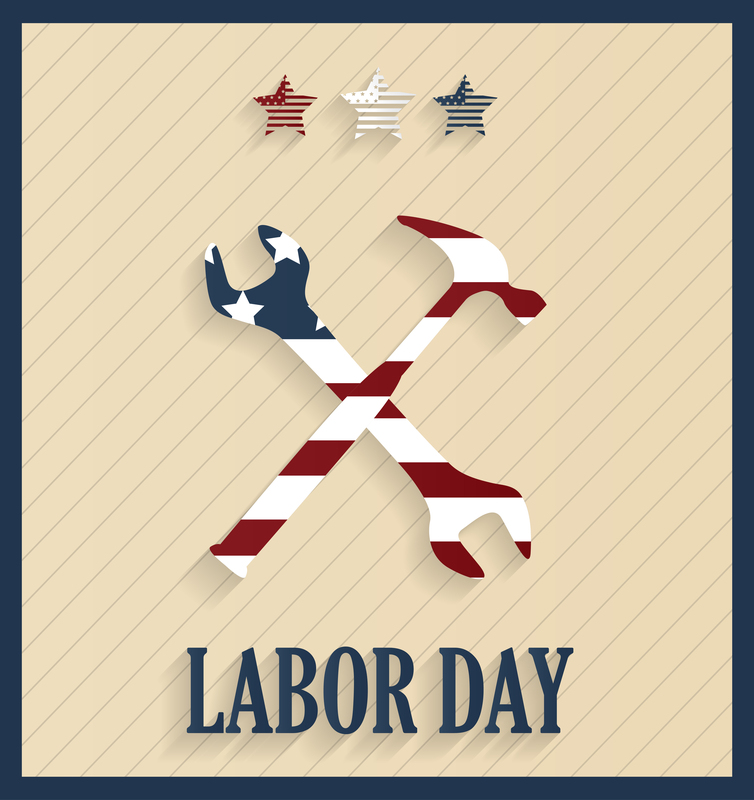 I begin with an overview of the holiday weekend -- Labor Day weekend ushers in multiple events in metro Detroit. The Labor Day weekend is rushing in a number of major events to the metro Detroit area. If youre looking for food, music, or a combination of the two 7 Action News has you covered! Ford Arts, Beats & Eats Friday is the first day for the annual Ford Arts, Beats & Eats in Royal Oak. Originally a staple in Pontiac, the festival moved to Royal Oak in 2009 and has taken off as a celebration of artists, musicians and food exhibits from throughout Metro Detroit. This year the festivities will run from 11 a.m. until 11 p.m. Friday through Sunday. The final day will kickoff at the same time, but wrap up at 9:30 p.m. Huge crowds will gather at the Suburban Collection Showplace in Novi over the Labor day weekend to take in the sights, sounds, tastes and smells of the 2017 Michigan State Fair. I bet Jennifer Ann Wilson won't forget that experience any time soon! I chose the State Fair because I was hoping for a report including farm animals. No such luck. Too bad, as it would have made a good transition to National Wildlife Day. Remember, I promised yesterday that I'd post a combination Labor Day/Wildlife Day entry for today. Follow over the jump for more on this day. I opened and closed 'Veep' leads nominated comedies at the Primetime Emmy Awards with 17 nominations by explaining why I didn't follow through all the way with my earlier announced plans and what I intended to do about it. I concluded Infidel 753 and I discuss zombies by telling my readers to "Stay tuned for the post about the Emmy nominees I promised in "13th" vs. "O.J. : Made in America" plus other non-fiction political programs nominated at the Primetime Emmy Awards." It was supposed to be "a post about the scripted comedies and dramas about poliitics, including shows starring two fictional presidents, Selina Meyer and Frank Underwood," but I decided to split the comedies and dramas into to posts. To quote "A Funny Thing Happened on the Way to the Forum," "tragedy tomorrow, comedy tonight!" That's it for scripted comedy. Stay tuned for the political nominees in drama followed by the political nominees in variety. While "Veep" may be more realistic, it's a comedy. Today is for drama and the leading political drama that isn't also science fiction is "House of Cards," the other nominated series besides "Veep" that portrays a fictional past or present president. * It is well behind "Veep" with only six nominations. The other nominated drama series with political themes are "The Americans" and "Mr. Robot" with four nominations each, "Homeland" with three nominations, "Orange is the New Black" with two nominations, and "The Good Fight" with one. Follow over the jump for the nominations of all the dramas with political or governmental themes. The leading comedy, political or otherwise, is "Veep" with 17 nominations. It's won Outstanding Comedy Series the past two years in a row and its star Julia Louis-Dreyfus has won Outstanding Lead Actress in a Comedy Series every year the show has aired, which makes for five consecutive wins. Impressive. What's also impressive is the number of Washington insiders who say that it is the most realistic portrayal of political life on American television, more so than "House of Cards," the subject of tomorrow's entry. I'll begin with WYNC's quote. “'VEEP' is sometimes so painful to watch because it is so close to things that have happened in my world. I’m aware that it is funny, but I can’t possibly laugh at it,” she continues. The Wrap elaborates on what "Veep" captures that "House of Cards" does not. “The funny thing about ‘Veep’ is, we as people who worked in the White House always get asked, okay, what’s the most real? Is it ‘House of Cards? Is it ‘West Wing’? And the answer is, it’s ‘Veep.’ Because you guys nail the fragility of the egos, and the, like, day-to-day idiocy of the decision-making,” [Tommy] Vietor said. I finish the comparison with this passage from The Atlantic. House of Cards does get some things right. Its set design is impressive, down to the decor of the congressional offices and the style of the nameplates on the doors. And it correctly captures a new media landscape influenced by Politico and Buzzfeed (er, Slugline) while only somewhat exaggerating the corrosive impact of money on modern politics. But Veep gets much more of the total picture, and it does so more enjoyably by presenting the capital as folly, not awash in soul-crushing darkness. It may not make Congress's approval ratings rebound from the gutter, but the truth that Veep captures is that the worst of the worst in Washington are more likely to be buffoons than monsters: Politicians and their aides are probably not killing people in D.C., but they often are shooting themselves in the foot. There you have it. To paraphrase what a Canadian politician said about the Canadian left, our politicians are more likely to be gauche than sinister. There are two other comedies with a political slant, "Black-ish" with four nominations and "South Park" with one. Follow over the jump for all the nominations of scripted comedies with political themes at the Primetime Emmy Awards. I framed Kunstler and I discuss zombies and bags of dog poop with an observation about my commenting habits. I've been posting my saved comments other blogs to my Dreamwidth account and found three of them that are responses to the blogger or his readers about zombies. Today, I'll post the shortest, which was a reaction to James Howard Kunstler on Death to All Zombies!...I'll get around to posting the other two later. When? Before "Fear the Walking Dead" returns next month. Here's the second of the three comments, which I left at Horror movie legislation. The quoted sentences are Infidel 753. "These are the people who would survive a zombie apocalypse -- they wouldn't even qualify as snacks." Only if it's full of George Romero zombies who want brains. If those zombies ran into them, they'd walk in the other direction. If they're Walking Dead zombies, they don't care. They just want the flesh and these people would be among the first to die. "I wonder if zombies can be poisoned?" The original Haitian zombies probably got that way by being poisoned. There is evidence that blowfish/pufferfish toxin can put people into comas that look like death, but that people can revive from with nerve damage. Add a belief about zombies, and someone so poisoned might believe they died and came back as a zombie. That's not really an answer to your question, as we're dealing with American science-fiction/horror zombies, not the original Haitian variety. The answer is most likely not. It would only work with the zombies that never died before changing, like the ones in "World War Z," "28 Days Later," and "I am Legend." Those are alive but transformed by the disease agent, not undead. Poison would likely work on them, just not fast enough (those are all fast zombies, too). The ones that died first, like in "The Walking Dead," are almost certainly immune. That's one advantage that slow zombies have over fast ones. Yes, I know too much about zombies. 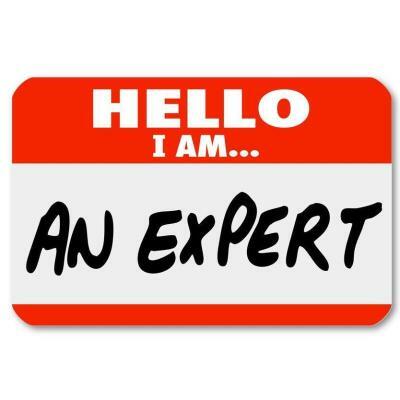 "Pinku: Well, it's nice to have the testimony of an expert. :-) "
I guess I am. Too bad it's on a topic that only exists in fiction. P.S. I've told "too dumb to be of interest to zombies" joke before in Next Media Animation on Canada leaving the Kyoto Protocol, plus a Rick Perry joke. Stay tuned for the post about the Emmy nominees I promised in "13th" vs. "O.J. : Made in America" plus other non-fiction political programs nominated at the Primetime Emmy Awards.